Because music is important to him, Manny Simons, CEO of Akouos, says he’s not apt to take hearing for granted. Manny Simons grew up in a musical family in a small town in Western Massachusetts and considered becoming a musician. He studied classical piano and jazz trumpet, then sang in the Harvard Glee Club while attending Harvard College. But he was also drawn to medicine. Ultimately, he combined his passions, earning an undergraduate degree in music and neuroscience before pursuing a career in biotechnology. Now, the Boston startup he cofounded in 2016, Akouos, is trying to develop the first gene therapy to treat hearing loss — in particular, a form of deafness caused by mutations in a single gene. Gene-based hearing loss afflicts 300,000 people in the United States each year, including more than 4,000 newborns. “It’s easy to take hearing for granted, and maybe because music has been important to me, it’s something that I take a little less for granted,” said Simons, 35, who earned a PhD in biomedical engineering from the Massachusetts Institute of Technology and an MBA from Harvard Business School. On Tuesday, his biotech said that it had raised $50 million in venture capital, on top of $7.5 million in seed money, to develop its experimental treatment. The drug was hatched in a laboratory at Massachusetts Eye and Ear and has shown encouraging results in lab animals. Simons hopes to begin clinical trials on humans in two to three years. In December, the Food and Drug Administration approved the first gene therapy for an inherited disease — a rare form of blindness that affects just a few thousand people in the United States. Luxturna, an injectable drug from Philadelphia-based Spark Therapeutics, comes with a breathtaking price tag of $850,000 per patient. But there are no FDA-approved drugs, let alone a gene therapy, to treat hearing loss. Instead, the treatments typically involve hearing aids, surgical procedures, and cochlear implants. About 48 million Americans have hearing loss in at least one ear, Johns Hopkins Medicine reported in 2011. “Though hearing loss is one of the most common health problems in the United States, there are no therapies that treat its underlying causes,” said Dr. Kush Parmar, managing partner of 5AM Ventures, one of the venture capital firms that has been involved with Akouos from the start. Akouos, Parmar said, has assembled experts in genetics, drug delivery, gene therapy, and neurological disorders of the ear in the hopes of developing a medicine that would need only be administered once. The gene therapy would use a virus to deliver a healthy copy of the gene to the cochlea, a spiral-shaped cavity of the inner ear that is involved in hearing. Akouos isn’t the only local biotech looking to treat hearing loss. Frequency Therapeutics Inc., a two-year-old Woburn company, has raised $32 million from private investors and venture capital firms to back its effort to activate so-called progenitor cells that can repair damage in the spiral cavity of the inner ear by generating new hair cells. Decibel Therapeutics Inc., of Boston, founded in 2015, has raised about $57 million from investors as it looks for ways to identify specific genetic targets for patients suffering from a variety of hearing disorders. Akouos, which Simons says got its name from the Greek word that spawned “acoustic,” operates out of the Tufts Launchpad shared laboratory space on Kneeland Street. It has about a dozen employees, but Simons aims to have 20 by the end of the year. The biotech’s leadership team includes a cofounder of Spark who helped shepherd Luxturna through the regulatory process. A member of the scientific advisory board also cofounded Spark. Simons worked at two other local biotechs before Akouos: Voyager Therapeutics Inc. and Warp Drive Bio. When he’s not busy, he said, he still plays the piano for fun. 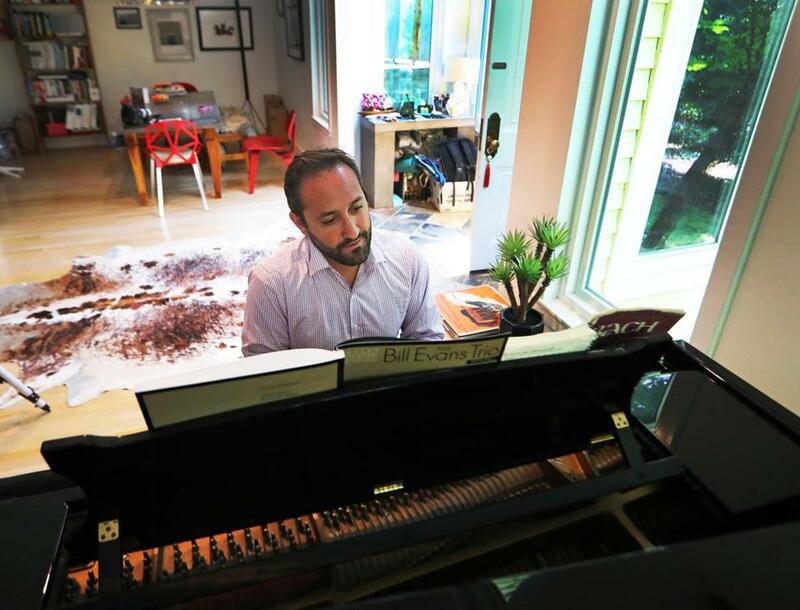 Bach and the late jazz pianist Bill Evans are among his favorites.